South Cave Explorers are young people aged 14 to 18 years. Explorers are the fourth section of the Scouting family above Beavers, Cubs and Scouts. Explorers are encouraged to lead themselves in deciding the programme and direction of the unit with guidance from the Leaders. Explorers are encouraged to take part in the Young Leaders Scheme, where the young people take on a leadership role in one of the younger sections. 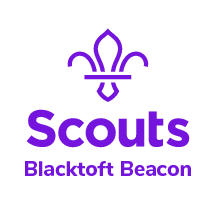 South Cave Scout Group have a waiting list for all sections. If you would like to add a child to our waiting list, please use the contact form or email us directly southcavescoutingmembership@gmail.com. Once a place in the Section becomes available we will contact you further.